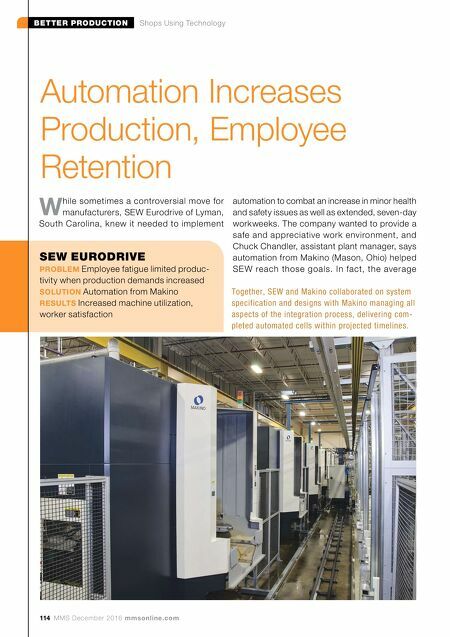 114 MMS December 2016 mmsonline.com BETTER PRODUCTION Shops Using Technology SEW EURODRIVE PROBLEM Employee fatigue limited produc- tivity when production demands increased SOLUTION Automation from Makino RESULTS Increased machine utilization, worker satisfaction Automation Increases Production, Employee Retention W hile sometimes a controversial move for manufacturers, SEW Eurodrive of Lyman, South Carolina, knew it needed to implement automation to combat an increase in minor health and safety issues as well as extended, seven-day workweeks. 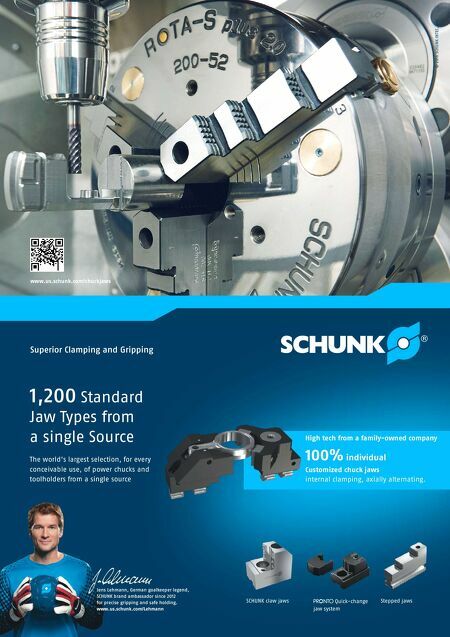 The company wanted to provide a safe and appreciative work environment, and Chuck Chandler, assistant plant manager, says automation from Makino (Mason, Ohio) helped SE W reach those goals. In fact, the average Together, SEW and Makino collaborated on system specification and designs with Makino managing all aspects of the integration process, delivering com- pleted automated cells within projected timelines.